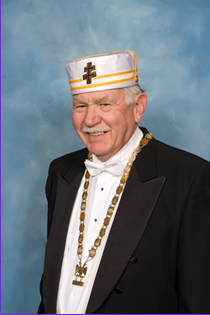 The Ceremonial for Knight Commander of the Court of Honor is in the history books, now, as the first such effort by San Jose Scottish Rite to host that event. I extend my heartfelt thanks to those who worked so hard to help make the ceremonial a success, and congratulate the cast for a well presented performance. Since the presentation was not, as has been previously noted, a recognized degree, it was open to the public, and we were gratified at having quite a diverse audience to play to. We had, in addition to our own member Chuck Cowden, two members from Stockton Bodies and one from the Valley of Bakersfield. Having the three additional candidates made it even more significant as an investiture, as the ritual is organized for more than one candidate. 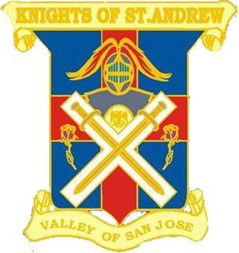 The members all did well, and the contribution of the Knights of St. Andrew gave the event an air of pageantry that would be sorely missed without their presence. As I noted last month, the theme of the ceremonial is loyalty to the craft, to its leaders, and to the central message of Masonry; morality and respectable, responsible living. We teach this lesson in the First Degree and continue it through all our degrees in all the concordant and appendant bodies of Masonry. It is the theme and principle that our emblems, such as the square, compass, plumb, rule, and others represent. It is our mantra. When we encounter a person who wears the ring or lapel pin of a Mason, we know we can rely on his word. I had an interesting experience several years ago when my wife and I went into a store to shop. We had never been there before, and when we made a rather significant purchase, she gave the owner her credit card which he processed and asked him if he wanted additional identification. The owner glanced down at the ring I was wearing and smiled. “No,” he said, “your husband looks like a pretty reliable kind of a guy.” No more was said on the subject, but the message was clear. It was a gratifying experience, especially in this day and age when everyone must be so cautious about their business dealings. On another subject, many of the members know my wife and I have now moved to our “new” home in Sonora. We started the process of buying, building and occupying this home six or seven years ago, before I was even approached to assume the position of Personal representative. It is virtually our dream home, and we are happy to be able to move there, now. It has been finished for over two years, but we didn’t feel we could move and leave the old place in Gilroy unoccupied. We now have a renter for the Gilroy home, and are now free to move to Sonora. The move seems to have sparked a rumor that I intend to step down as Personal Representative, and I feel I should address that question directly. I have no intention of abandoning my job here at San Jose Scottish Rite. I enjoy what we are doing here and plan to continue as long as I am needed. I serve at the pleasure of the Sovereign Grand Inspector General, and he has not asked for my resignation. I have rearranged and adjusted my schedule somewhat, and will be able to continue with some small modifications. I won’t be able to keep up with some of the short appointments, but with the help and cooperation of the great staff we have here, both in the office, clinic, and Bodies, work will continue unabated. The availability of the apartment here in our building gives me the opportunity to attend our meetings and organize some of my activities so that I can work more efficiently. My cell number is the same, and I solicit all and any questions, regarding the Scottish Rite, or anything else that may come to mind. 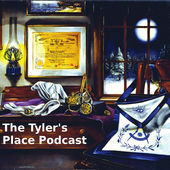 Have a good month, and I hope to see all of our readers at the next stated meeting dinner. Remember, it’s time again for our degrees, so bring your petitions to the meeting.